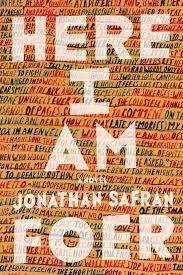 Here I Am: Jonathan Safran Foer Does It Again. I have favorite novelists, favorite poets, favorite short story authors. Then there's Ron Rash, who manages to excel at all three forms. A colleague recommended his first novel One Foot in Eden, right after it was given Charlotte's Novella Award. Then I heard him read from Eureka Mills, one of his poetry books, at the local college, and he brought his skillful way with words to his poems. Since then, I've had the chance to hear him read and talk about his craft in a number of events. What I learned was, first, that he exercises the kind of writing discipline that results in finished writing projects. He can talk about writing, adjusting to his audiences smoothly, addressing his readers warmly, but one gets the sense that he'd rather be writing. I've enjoyed sharing his short stories with my community college students, many of whom recognize some of their own experiences and their own families in his stories set in the western Carolinas. 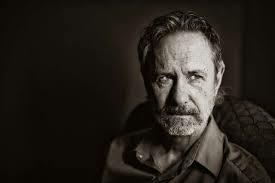 Rash's latest novel The Risen moves back and forth between 1969 and present in the life of his troubled protagonist Eugene Matney. As a sixteen-year-old, he and his brother Bill meet a bewitching girl who has been sent from Florida to live with relatives after getting into trouble back home. She introduces both boys to temptations and then leaves, presumably running away to join her friends near the beach. While Bill goes on the a successful law career and marriage, Eugene pursues a writing career, but is cut off from his own daughter as he struggles with alcoholism. During her stay in the mountains, the girl Ligeia drives a wedge of secrecy between the two brothers; the discovery of her body forty-six years later raises even more troubling questions. In his dark, bewitching style, Rash has developed a protagonist at once distant and sympathetic, scarred by family secrets. Labels: Books, reading, Ron Rash, The Risen. I read so many different kinds of books that it's only natural that my reaction varies form one to the next. Sometimes I breeze through one and hardly remember it a year later. Some books challenge me to become that kind of writer; sometimes I even think, "I could have done that." Sometimes an author is so heavy-handed, so present that I can almost imagine the fingers clicking on the keyboard--and it bothers me. I love to lose myself in the world of a book, to imagine the plot is unfolding and I'm present as a witness. Some authors work a kind of magic, a balancing act that defies my imagination. Love it or not (I did), Kate Atkinson's Life after Life was a feat I can't even imagine undertaking. Since that whole story moved back and forth between alternate possibilities, she must have kept a huge chart on the wall over her desk to keep all the threads of her story straight. Jonathan Safran Foer's novels leave me reeling. Although I have to look up the title every time I mention it, trying to keep the adverbs and adjectives in the right order, Extremely Loud and Incredibly Close, with its young narrator and broad scope of family history, was a novel I not only enjoyed but admired. I have just finished his latest novel, Here I Am, which began as what might have been an ordinary story of a relatively secular Jewish family, preparing for their son Sam's bar mitzvah, Sam's great grandfather's last wish. Jacob Bloch and his wife Julia are raising their three sons, wrestling with their marriage, dealing with their parents, neighbors, and visiting relatives from Israel. Technology takes a central role in the story. Sam is immersed in an alternative world video game in which he has created Samanta, his female avatar. His father Jacob has acquired a second cell phone he uses to communicate with a female co-worker. (The explicit texts appear in the book before readers realize what they are reading.) Sam finds the phone and leaves it where Julia discovers it, pushing their uncertain marriage into further crisis. Somehow, though, Foer's characters' conversations and especially their thoughts take the themes of the story to a level not achieved in a typical airplane or beach read. The eulogy delivered at Jacob's grandfather's memorial service surprised me as much as it did Jacob, who didn't think the rabbi actually knew his grandfather. That passage itself is one I'll go back and read again. About halfway through the novel, though, a natural disaster occurs in the Middle East that affects the entire world. Jacob's cousin Tamir visiting from Israel is unable to get home. Their late night conversations about Israel and Jewish identity, about marriage and family, keep replaying in my head. I read sometimes for escape, but I love to read a book that makes me think and that puts me into the lives of people who are and are not like me. Even though some of the characters' words and thoughts felt so familiar and personal, I cannot imagine how Foer assembled this novel as he did. 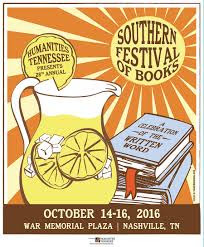 I only managed to attend the Southern Festival once while living in North Carolina, so living here at the time of this annual celebration was just one more benefit of moving to Nashville. I've been power-reading a lot lately, so I'm far behind in my book posts. This week, I plan to add posts about Ron Rash's latest novel The Risen, Jonathan Safron Foer's Here I Am, my most recent book club selection Truly, Madly, Guilty, Beth Revis' YA novel A World Without You, Emma Straub's Modern Lovers, and Anna Quindlen's Miller's Valley. Today, though, I am processing all the great sessions I attended yesterday and the interactions with readers, authors, and booksellers. Whenever I'm around events like this one, I can tell I'm with "my people." For years, when I attended the annual conference of the National Council of Teachers of English, I watched the way participants plotted out the sessions we would attend. People who arrived with colleagues played "divide and conquer," each attending a different session, being sure to pick up handouts, promising to share when the conference was over. We worked the exhibits, adding to our already over-the-top book collections and picking up posters, book marks, teaching tips. This weekend, I saw some of the same behavior; in fact, I ran into a small group of teachers from Chattanooga I knew from a conference in Mississippi almost two years ago. They had their schedule mapped out. My own reading friends crossed paths frequently, but we each had our own priorities, and we promised to share once the festival ended. I sat in on sessions with Curtis Sittenfeld, whose novel Eligible I had read this year. 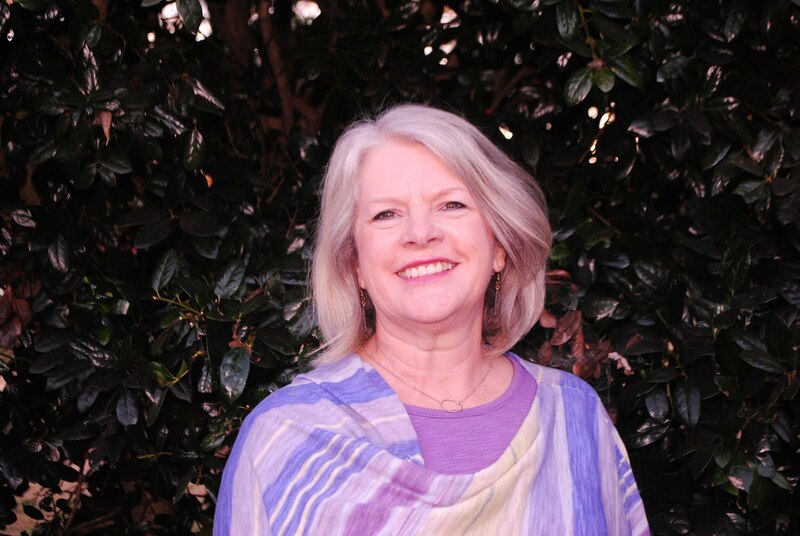 I learned that she had been approached by the British Austen Society about writing the book, a modern retelling of Pride and Prejudice, in the first place. She was on a panel with three other authors whose books I hadn't read (yet): Danielle Dutton, author of Margaret the First; Adam Hadley, whose book Imagine Me Gone was told in five first person points of view, and Yaa Gyasi's first novel Homegoing. I made a point to make it to Gyasi's reading later in the day as well and found myself sitting by her parents, who immigrated from Ghana to Alabama. I also heard one of my Lemuria First Editions Club author Brad Watson read from Miss Jane. A special treat, though, was the session with Peter Furalnick, author of the book about Sam Philips: The Man Who Invented Rock and Roll moderated by Pulitzer Prize-winning journalist Hank Klibanoff from my hometown Florence, Alabama. Guralnick said that when he started interviewing Phillips, he told him that the story wasn't in Memphis; it was in Florence. I had the opportunity to visit the Sam Phillips exhibit at the Country Music Hall of Fame with members of Phillips' family earlier this year, so I felt as if I had a little inside look at this story already. I also made a point to attend a session of poets reading from the anthology Hard Lines: Rough Southern Poetry. Poet William Wright had to cancel his appearance (and that's twice I've missed him at events where he was scheduled) but my colleague Jeff Hardin stepped in, along with Allison Adelle, Ed Madden, and Amy Wright. Each read on of his or her poems from the collection, along with a poem by another poet each admired. As a festival volunteer, I was the host of the session with Beth Revis, YA author of A World Without You, a novel set in a school for troubled teens--a detail readers must infer as the story builds. Revis, who lives back in my old stomping grounds of Western North Carolina, had told me in our initial communication that this story had a particular person connection. In the session, she told a lot about the process from birthing a book idea, to pitching, writing, and then going through the grueling editing process. She had planned her presentation meticulously so she could control her emotions during the session, reading just enough from the book to make her points without spoiling the experience for anyone who hadn't read the book yet. I left the festival site with a little heavier bag and a much longer list of "must-read" books. Like a person with a song stuck in my head, I can't wait to pass my list on to you.